Two advocacy groups suggest more reforms are needed in Prince George’s County when it comes to bail, which they say harms Blacks. As part of a report produced by Progressive Maryland and Color of Change, it offers five recommendations for the county’s state’s attorney’s office that includes advanced calls and texts to defendants to remind them of pretrial services to ensure they attend court hearings, end cash bail and allow a defense attorney to have more time with a client prior to the hearing. The rule in question deals with a Court of Appeals decision made last year that instructs judges to reduce the use of bail for individuals who aren’t consider dangerous or a flight risk and will appear in court for future hearings. 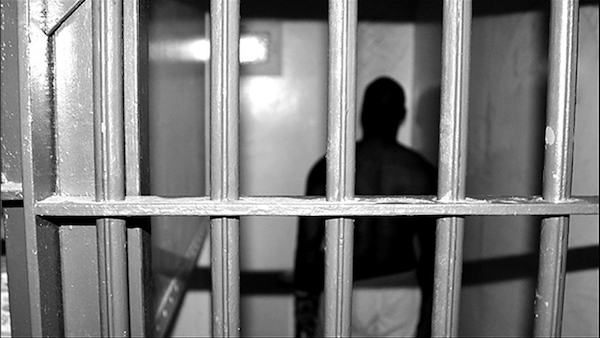 According to the groups’ report released last month, the Black population in the county jail hovers above 82 percent and increased from 727 to 757 from June 2, 2017, to June 6 of this year. Those arrested and housed on three types of charges also remained constant in that time frame, based on the report. Felonies rose from 603 to 617 and misdemeanors from 447 to 470, while drug-related offenses decreased from 115 to 111. The report highlights a decrease in cash-bail authorized by judges, but a slight increase in no bail and for defendants to be released on their own recognizance. The data shows 11 months prior to last year’s Court of Appeals rules change (August 2016 to June 2017) and 11 months after (July 2017 to May). “Prince George’s County puts on the persona as being very progressive and having a good pretrial program and a good bail reform — that is not the case,” said Qiana Johnson, a mass liberation fellow with Progressive Maryland. To analyze court proceedings, the groups conducted a “court watch” where volunteers sat and viewed more than 70 bail review cases in Upper Marlboro for about a month between the first week of May and second week of June. One aspect from the hearings, according to the report, showed many defendants remain at the jail through a closed-circuit television instead of before a judge in the courtroom. Also, hearings lasted no more than five minutes and the judge accepts recommendations from prosecutors on certain cases. John Erzen, spokesman for the state’s attorney office, said Angela Alsobrooks was the only state’s attorney in Maryland to support bail reform. However, “judges still have the ultimate decision as to what the bond will be and there isn’t much we can do about that,” Erzen said in an email. In the meantime, Alsobrooks won the Democratic nomination for county executive in the June 26 primary. Former state Delegate Aisha Braveboy won the Democratic nomination to replace Alsobrooks. During a brief interview earlier this month, Braveboy said she didn’t get to review the report. She couldn’t be reached for comment before press time. Johnson said she has some concerns if Braveboy gets into the office, especially with her support from the Fraternal Order of Police and knowledge to distribute cases. Progressive Maryland endorsed her opponent, state Sen. Victor Ramirez.